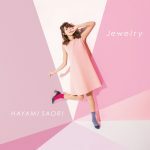 Singer and voice actress Saori Hayami will be releasing her 4th single Jewelry in March. It is currently serving as the ending theme for the anime series Cardcaptor Sakura: Clear Card. In the MV Hayami is in a room fit for a princess, surrounded by various makeup products and pink furniture. Jewelry will be released in two versions, a CD only “anime ver” edition and CD+DVD “artist ver” edition. 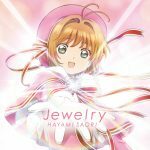 The CD only cover will feature Cardcaptor Sakura herself on the cover while Hayami is on the other. Cardcaptor Sakura: Clear Card is a sequel to the iconic anime and manga series Cardcaptor Sakura, originally created by the manga artist group CLAMP. It began airing on January 7th, 2018. Sakura is a junior highschool student living her life, until one day she has a mysterious dream where she’s surrounded by blank transparent cards, and is approached by a figure wearing a cloak. She wakes up to find that her Sakura cards are all blank and powerless. In another dream shortly after she is approached by the same cloaked figure who gives her a new key. The next day while at school she is suddenly attacked by strong winds and is able to transform the key given to her in the dream into a new powerful staff. Sakura captures the winds as a transparent card called “Gale”. She sets off with her friends to capture the new set of cards. Jewelry will be released on March 28th, 2017. The covers and short ver. MV can be seen below the jump.